After cementing itself in the sub-Rs. 10,000 segment with a number of phone launches, Xiaomi seems ready to take a leap. 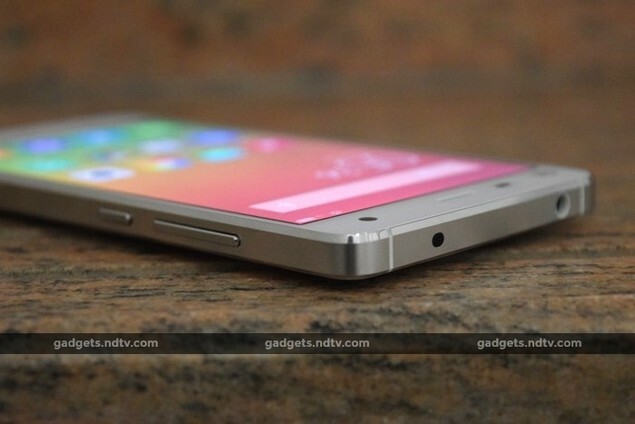 Its latest phone, the Mi 4, will be its most expensive yet - by quite a margin. Buyers have been lining up faithfully every week in hopes of snagging one of a very limited supply of phones, often without ever having seen or felt one, but that fervour has been based on the fact that prices were shockingly low. The big question now is whether Xiaomi's brand value will carry over to a device that costs over twice as much as the Redmi Note and thrice as much as the Redmi 1S. 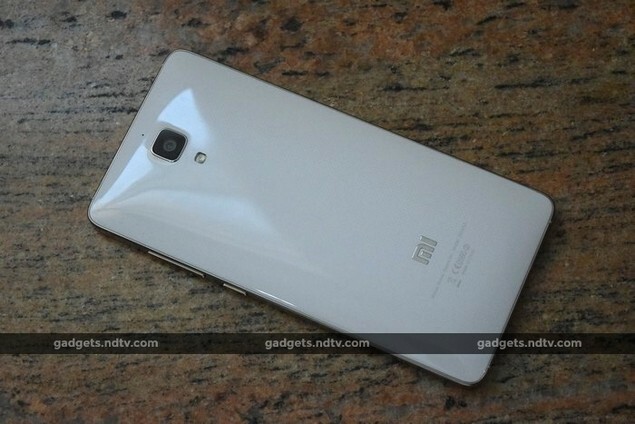 The highly regarded Xiaomi Mi 3 (Review | Photos) is not available anymore, but the Mi 4 is more of an upgrade than a replacement. It comes to India many months after its launch back home in China, though we can't really call it dated given its top-tier specifications. Let's see how the Xiaomi Mi 4 stacks up against its competition, and whether getting one will be worth all the trouble flash sales involve. 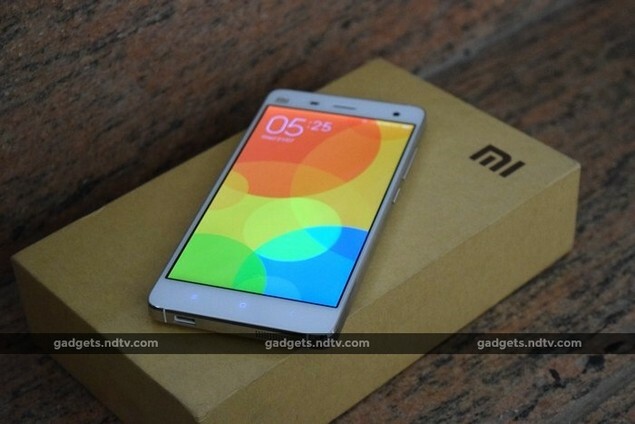 The Xiaomi Mi 4 doesn't look anything like the Mi 3 did. It has a far more traditional shape, and borrows heavily from both Apple and Samsung's design languages. The screen dominates the front, with very little space wasted around it. The area above the screen is rather crowded, with a shiny silver Mi logo and sensor window on one side of the earpiece, with the front-facing camera on the other. The capacitive navigation buttons on the bottom have white backlighting, and a tiny status LED is hidden beneath them - so much so that you'd miss it if you weren't specifically looking for it. 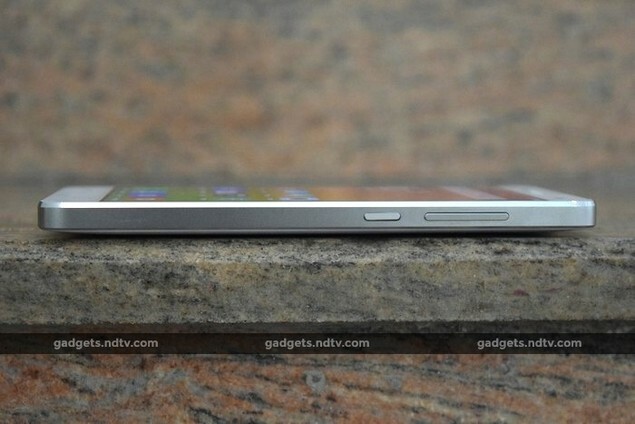 The sides of the Mi 4 are flat, and a shiny stainless steel rim runs around the entire phone. It looks a lot like Apple's iPhone 5 design, but also incorporates Samsung's current antenna cutout style. The rim protrudes a little and you can feel it scratching your ear when you hold up this phone to talk. The rear is not removable and so the battery isn't accessible. There's a slot on the left for a Micro-SIM card, but the microSD slot has been sacrificed for the sake of design. The power button on the right is below the volume rocker, making it a bit too low to be reached comfortably. The 3.5mm headset socket is on top, with an Infrared LED next to it. On the bottom, there's a speaker grille and the Micro-USB port, which, like on all other Xiaomi phones, is confusingly rectangular in shape. The camera and flash on the rear are shaped and placed much like Samsung does on its current models. The white plastic has a subtle pattern, which is again a familiar Samsung touch. There's another shiny Mi logo lower down. The combination of milky white plastic and shiny metal isn't especially appealing, and this is Xiaomi's first phone in India that doesn't look a lot more expensive than it is. Notably, the specifications do not mention Gorilla Glass or any other structural reinforcement. That said, this is a rather hefty phone and its build quality does seem solid. Xiaomi's entire identity is based around stuffing high-end specifications into phones with low-end prices, and the Mi 4 is no exception. There's a Qualcomm Snapdragon 801 with four CPU cores running at 2.5GHz and an Adreno 330 GPU. There is also a very generous 3GB of RAM. The model currently available in India has 16GB of storage space and no microSD slot - a 64GB model might come in later, though the price difference is unknown. The screen is a 5-inch full-HD 1080x1920-pixel IPS panel - thankfully not too large. The battery comes in at 3,080mAh, and the front and rear cameras have 13-megapixel and 8-megapixel Sony sensors respectively. You can capture 4K videos at up to 30fps with the rear camera. Wi-Fi a/b/g/n/ac and Bluetooth 4.0 are complemented by Infrared and A-GPS. Our review unit came running Xiaomi's MIUI 6 interface on top of Android 4.4.4. It looks great on the high-resolution screen but definitely has its quirks. Most importantly, it doesn't have a separate homescreen and app drawer - while some prefer the simplicity, others would much rather be able to organise their widgets and app icons. The icons are all custom, and text is crisp, but on the smaller side. Several things have been customised, which are not necessarily improvements. Options in the Settings app have been somewhat reorganised, and it takes an extra step to get to common things such as the display and battery sections. The battery indicator doesn't clearly show when the phone is or isn't charging. The camera shortcut on the lockscreen disappears off the right edge but to launch it you need to swipe left. The quick shortcuts panel in the notifications shade isn't too well designed or easy to get to. There are also iOS-inspired flourishes all around, such as red notification badges on icons, the appearance of folders, and the task switcher. Xiaomi offers a huge selection of themes including ones with Indian imagery. You can change the system font, and there are quite a few practical modern typefaces to choose from. You can also change the behaviour of the notification LED. 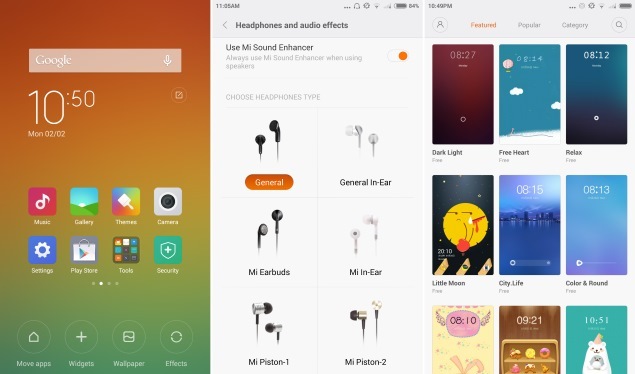 Xiaomi has integrated audio EQ settings customised for different types of earphones including its own Piston headset. Fleksy and Swiftkey come preinstalled. There's also the Facebook app, WPS office, and a Security app that offers an overview of data usage, battery performance and app permissions, and lets you block contacts too. 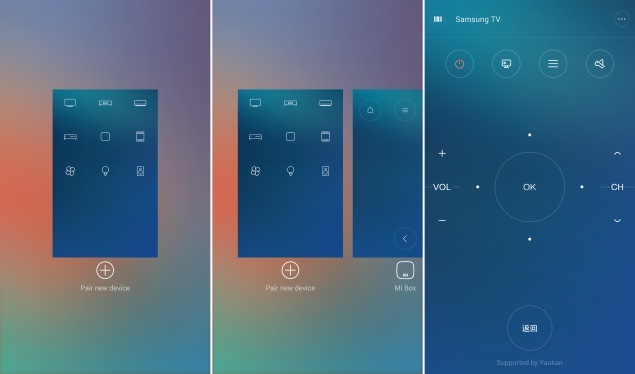 Hidden away at the bottom of a "Tools" folder is the Mi Remote app that lets you control appliances using the Infrared LED. Only TVs and set-top boxes are supported at the moment, and an Internet connection is required for setup. It worked with a Samsung TV, but Indian set-top box brands weren't even listed as options. The app has a very iOS 7-inspired look, down to the animations which look like the iOS task switcher. While there's a lot of powerful hardware under the hood, one thing that frustrated us was MIUI's slow animations. It felt as though simple things such as opening a folder or switching apps took way too long. Apps themselves ran very snappily and we had no problems there. Interestingly, the task switcher showed only 1.8GB of RAM available out of the device's 3GB, even when no apps were running in the background. Benchmark test results were predictably high. Xiaomi has incorporated a "Performance mode" which can be found in the settings, but a dialog popped up each time we launched a benchmark app asking if we wanted to switch out of "Balanced mode". For the purposes of testing, we stuck to the default Balanced mode. 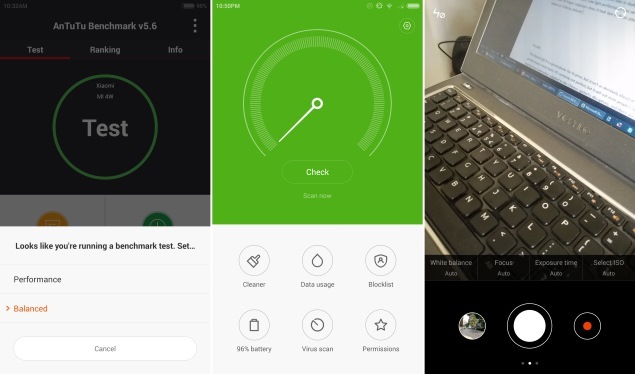 AnTuTu and Quadrant reported scores of 32,264 and 15,344 respectively, which are both pretty good but not as good as those of the marginally more expensive OnePlus One (Review | Photos), or for that matter, the equivalently priced Lenovo Vibe X2 (Review | Photos) with its octa-core MediaTek MT6595M SoC. Graphics scores were also pretty good, with 28fps in GFXBench and 14,585 points in 3DMark Ice Storm Unlimited. Video samples played without any problem. Thankfully, the screen isn't too reflective and looks great even in sunlight. Sound through the bottom-firing speaker is loud, but thin and scratchy. We found that the rear and the right edge got a bit warm when we ran tests or played games for a while. The battery lasted a respectable 10 hours, 4 minutes in our video loop test. 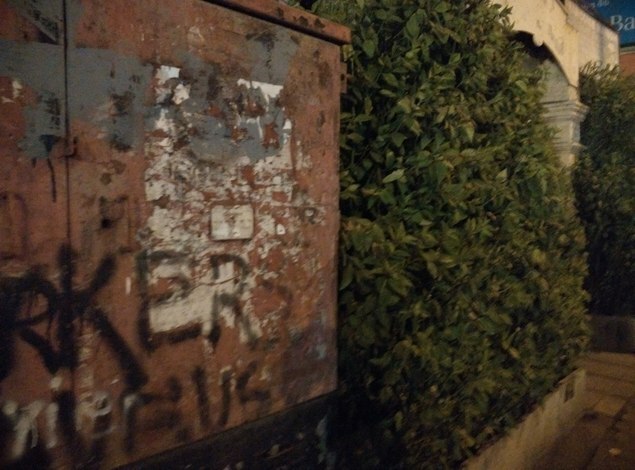 The Mi 3's camera was one of its less appealing features, but things are definitely looking better with the Mi 4. Most of the photos we managed to take in daylight came out very well, with accurate colouring and subtle details intact. 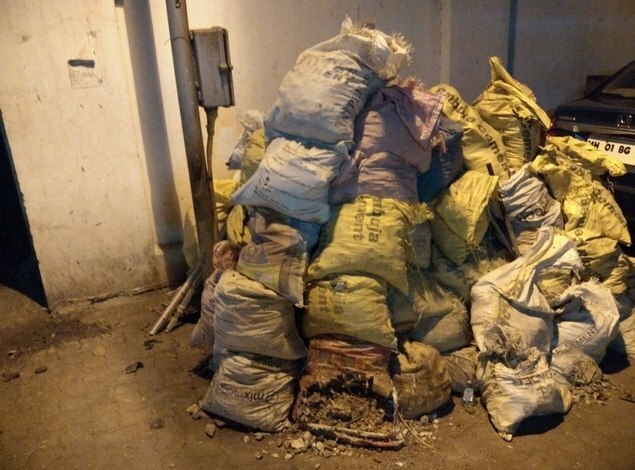 Low light performance was weak, though, and sharpness definitely suffered as a result of longer exposure time. It took two or three attempts to get a great shot at night. Videos are taken at 720p by default. The camera app has several neat features including optional manual controls for ISO, exposure time, white balance and ISO. You can change the metering mode, image and video quality, and frame aspect ratio. There's also a neat Refocus mode that takes multiple shots (if you hold the phone really steady) and lets you tap to choose which areas should be in focus long after the shots have been taken. 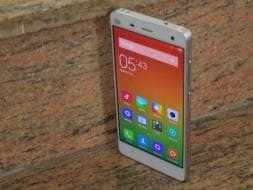 The Xiaomi Mi 4 is a great phone for its price, but it isn't as decisively ahead of the curve as its predecessors have been. 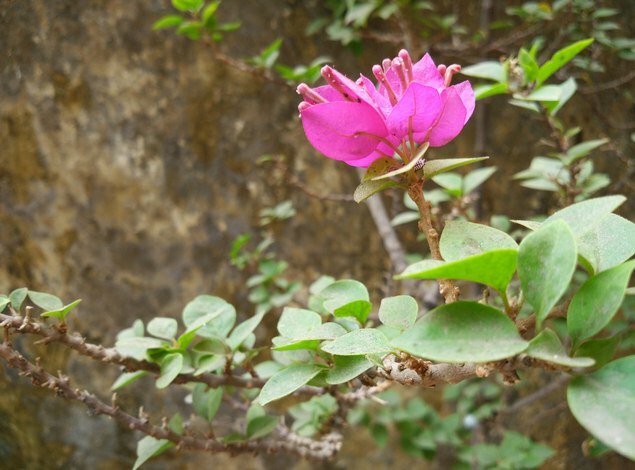 It's certainly not perfect, but it will suit most people's needs just fine. Still, the market has somewhat adapted to the Chinese upstart's disruptions, and there are alternatives that offer similar value for money if you feel as though the UI, storage space or looks aren't enough for you. We'd most likely hold off till the 64GB model is launched - it will be interesting to see how that compares to the OnePlus One in terms of pricing. 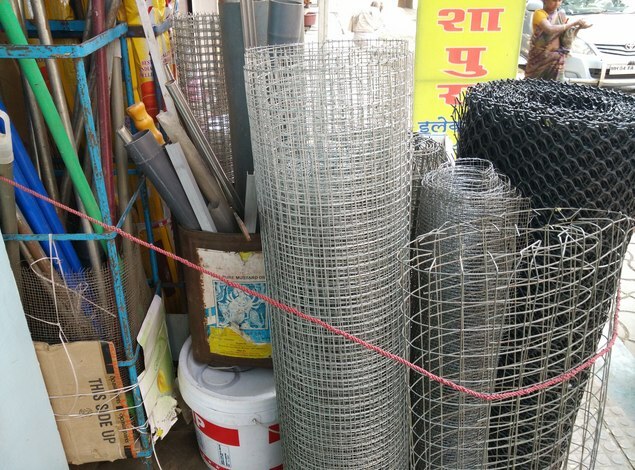 The price tag of Rs. 19,999 is ambitious for Xiaomi but we're sure people will still line up for hours to buy how many ever units are put up for sale now that the company has established its name in India. As has been the case with previous models, there's no telling how many units will be sold and for how long. Hopefully, plans to sell the device through channels other than Flipkart's flash sales will help alleviate the mass frustration that arises from each weekly event. 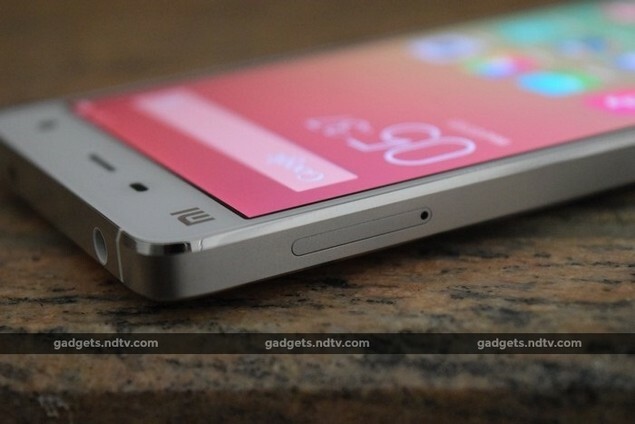 With even more premium devices such as the Mi Note coming in later this year, the Mi 4 will help Xiaomi break away from its ultra-low-price image. Competition is always good for buyers and so we welcome responses from the world's big Android manufacturers. product The successor to the perpetually-sold-out Mi 3 has big shoes to fill, especially since it's kicking the price up a notch. We're eager to see if the new Xiaomi Mi 4 will help the Chinese upstart grab a hold of the mid-range market in India.